How Did Your Stuff Die? This month Asurion launched “October is Protection Month”, a campaign to help keep you in the know and up to date on ways to protect the technology you depend on every day. Throughout the month we posted tips to help you take care of your kitchen gadgets and get the most out of your most loved devices including your tablet, camera and laptop. We also created a website full of helpful tips to help you protect your devices and guard your wallet against unexpected costs should your device ever fail. There’s also the “How Will Your Stuff Die” personality assessment that analyzes your awesome lifestyle to predict how your gadgets will meet their untimely death. 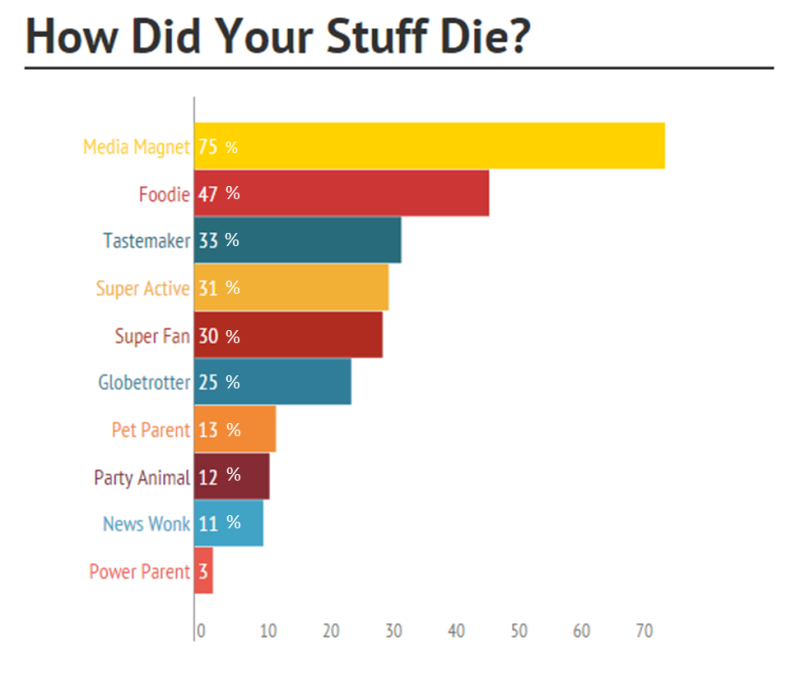 Based on your hobbies and interests, the assessment assigns you different personalities and explains how your stuff is most likely to die based on how you spend your time. 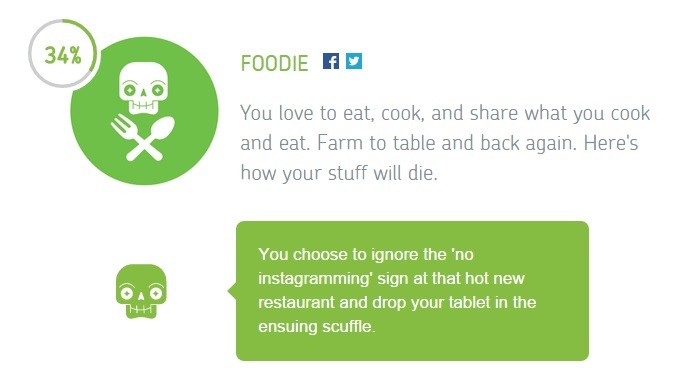 For example, your results may determine you are “34% Foodie” and your love for trying (and documenting) tasty dishes will ultimately be the downfall of your device. There’s still time to learn how your stuff will die. Visit ProductProtection.com to take the assessment before November 3 and Asurion will donate $1 to the American Red Cross, up to $25,000.